A new photographic exhibition, celebrating the Antarctic Legacy of explorer Sir Ernest Shackleton during his trip on the ship The Endurance to Antarctica is set to open at The Wilson, Cheltenham’s premier Art Gallery & Museum on November 24th. ‘The Enduring Eye’ is an incredible photographic record of Sir Ernest Shackleton’s exploration of the Antarctic from 1914-17 - with newly digitised images revealing previously unseen details of the crew’s epic struggle for survival, before and after their ship was destroyed. The exhibition, comprising of more than 20 breath-taking images, is due to open at The Wilson, on Clarence Street, on Thursday, November 24th, running until 24th February next year. The Endurance was completely trapped in ice in early 1915 and sank ten months later – but all expedition members were successfully rescued, having survived on the floating ice. 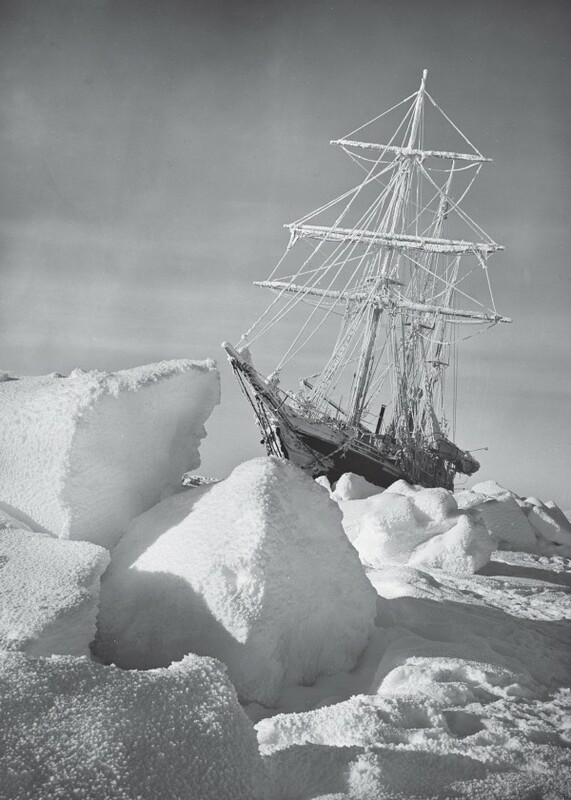 Images taken by expedition photographer Frank Hurley were selected and saved from the sinking Endurance by Hurley and Shackleton – and have been preserved from the original, fragile glass plate negatives by the Royal Geographical Society (with IBG). Shackleton and his team. Their extraordinary 800-mile rescue voyage in little more than a rowing boat and the survival of the men and photographic plates remains unsurpassed in Antarctic history. Frank Hurley’s breath-taking images powerfully demonstrate how photography can truly bring history to life. With its connections to Edward Wilson and Antarctic discovery and exploration, The Wilson is a particularly fitting venue for this captivating exhibition. Alongside one of the most dramatic survival stories of the 20th Century, ‘Enduring Eye’ brilliantly captures daily life aboard ship. The dedication and teamwork of Shackleton’s crew are astounding and will not fail to leave a lasting impression on those discovering more about their endeavours. The Enduring Eye: The Antarctic Legacy of Sir Ernest Shackleton and Frank Hurley – Monument Exhibition Gallery, Floor 2, The Wilson Museum & Art Gallery, opens Thursday 24th November. The exhibition cost £5 for adults and £3 for concessions and is suitable for the whole family.